I’m mad now. 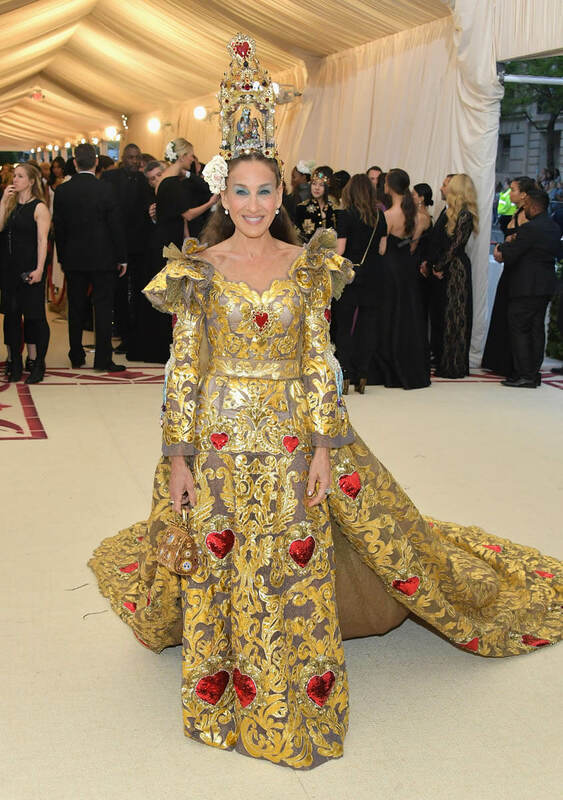 I went to google how long SJP and Andy Cohen had been friends and got sucked into a long chain of Plead The Fifth segments (which I am going to make all of our friends play next time we’re all together) and wasted an obscene amount of time because it’s the middle of the night and nothing seems real. 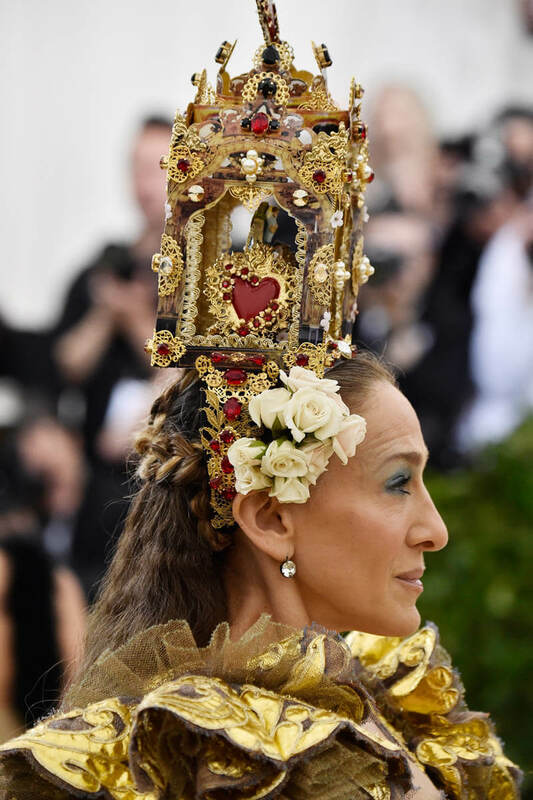 None of this is paying proper respect to Sarah Jessica Parker, Our Lady of the Costume Institute, whose Dolce & Gabbana outfit was, in the words of our friend Lorella, topped with an actual altar on her head. 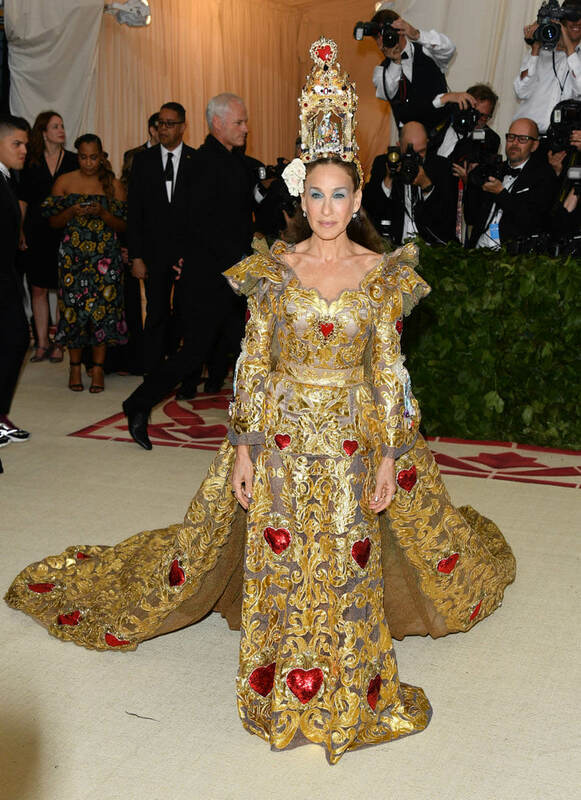 When I googled to check the designer, I initially clicked a headline that said “SJP Ultra-Committed at the Met Gala” from last year because that is what she does, every time. 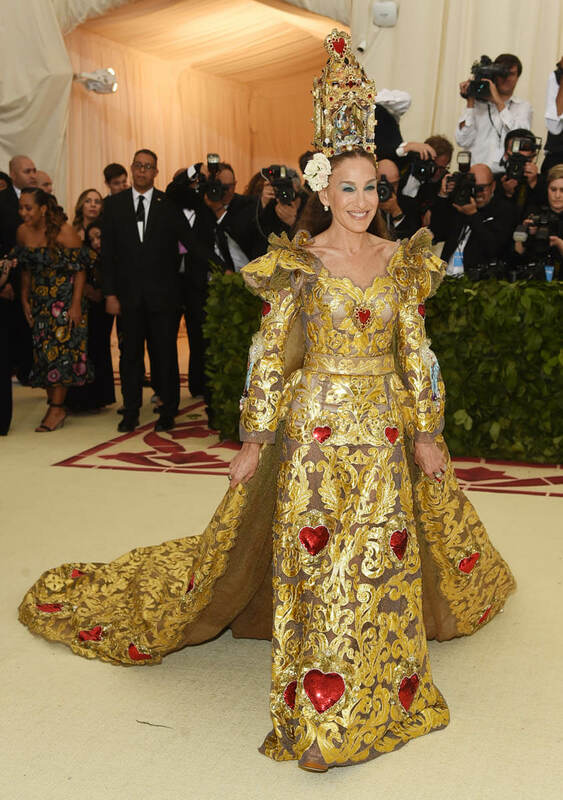 She commits allllll the way. 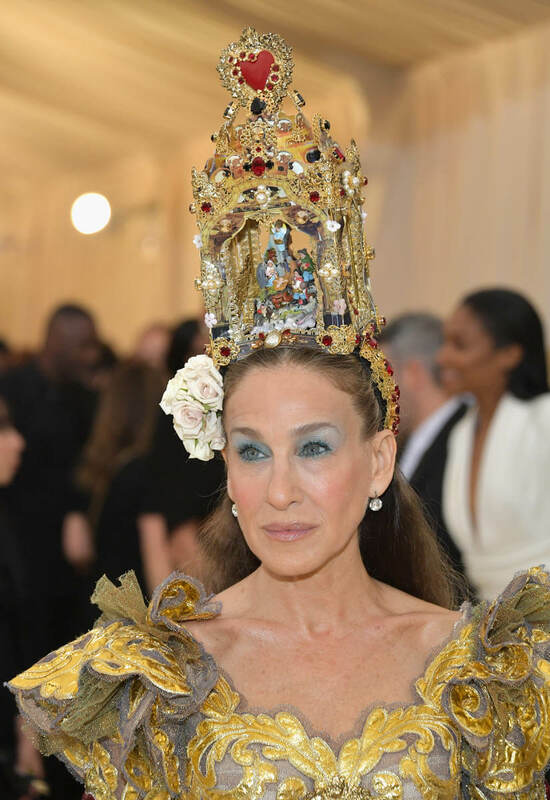 Who commits like her? 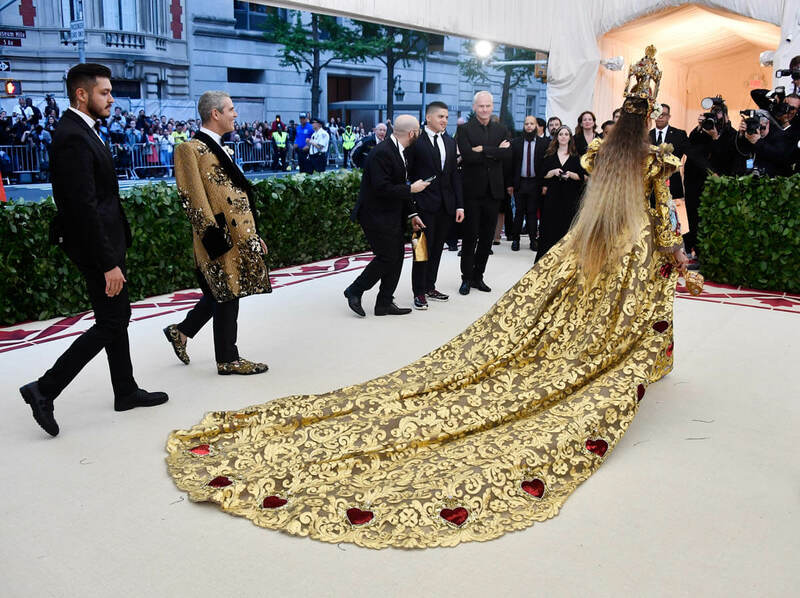 Maybe Solange. When’s the last time you saw those two mentioned in the same sentence? 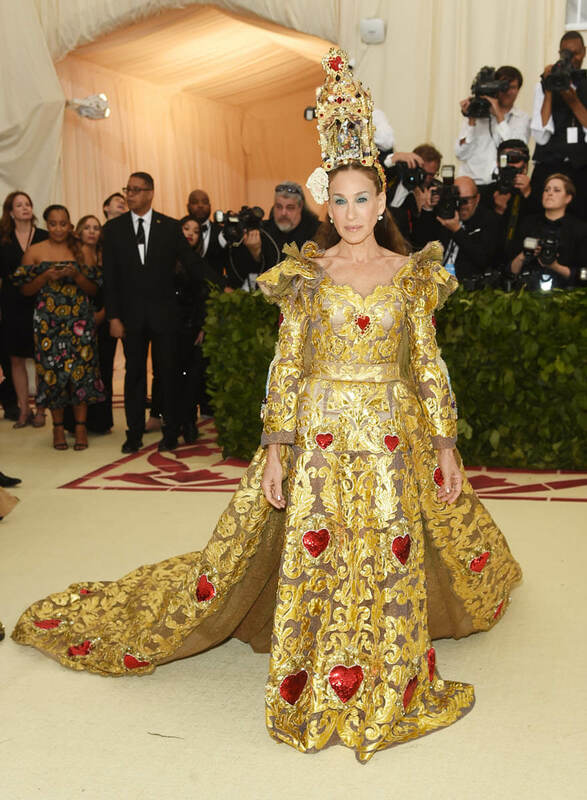 But the surprise gift here is that not only does SJP look like the Red Queen from Alice In Wonderland, the whole look is so bizarro-delightful that I’m hopeful some exec in LA is resurrecting a sympathetic telling of her story to be released at Christmas 2021. We’ll call it ‘Beheaded’. 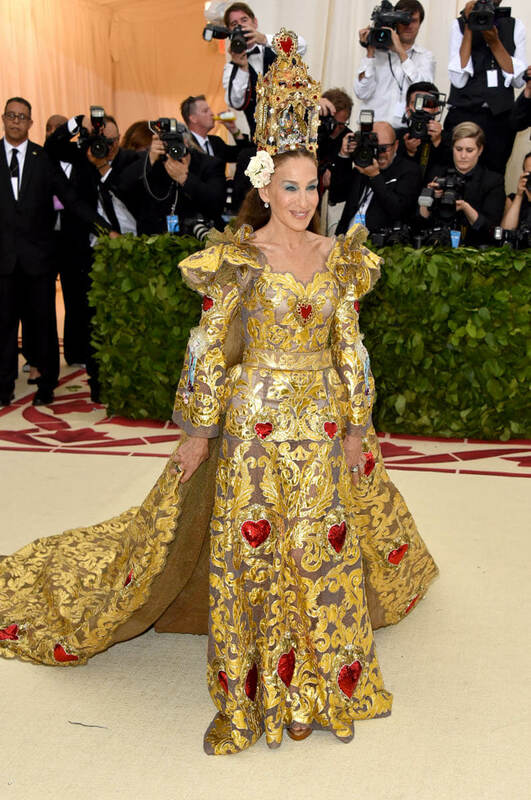 Actually, someone should call me. Seriously though. 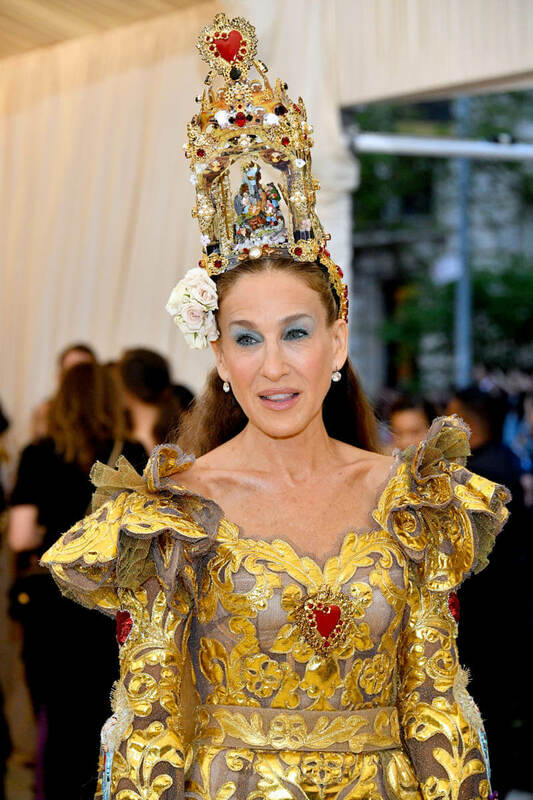 How does someone who can pull out looks like these get stuck playing resolutely (or would-be) reasonable women? 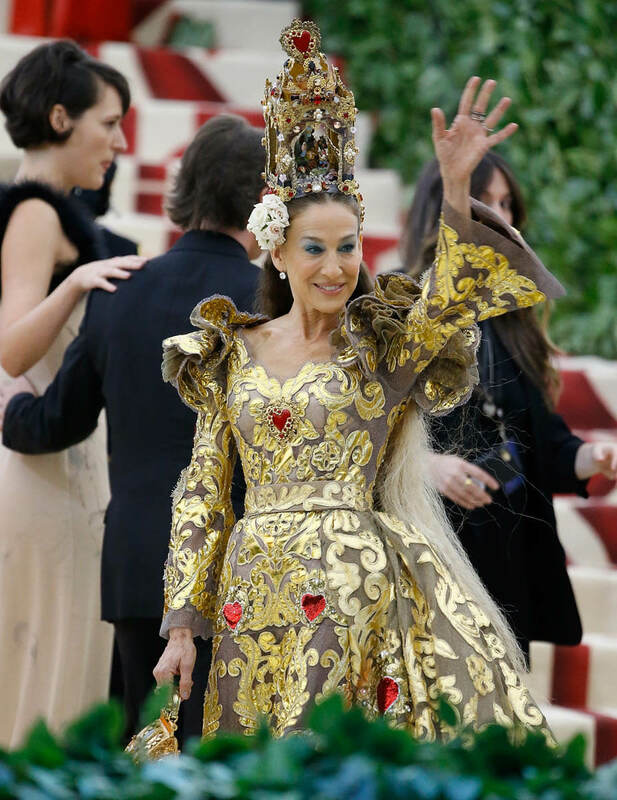 Can we please, please, be lucky enough to enjoy Sarah Jessica Parker in her villain phase? 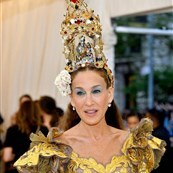 What, you thought I was equipped to talk more eloquently about the piece of art and history masquerading as her gown? 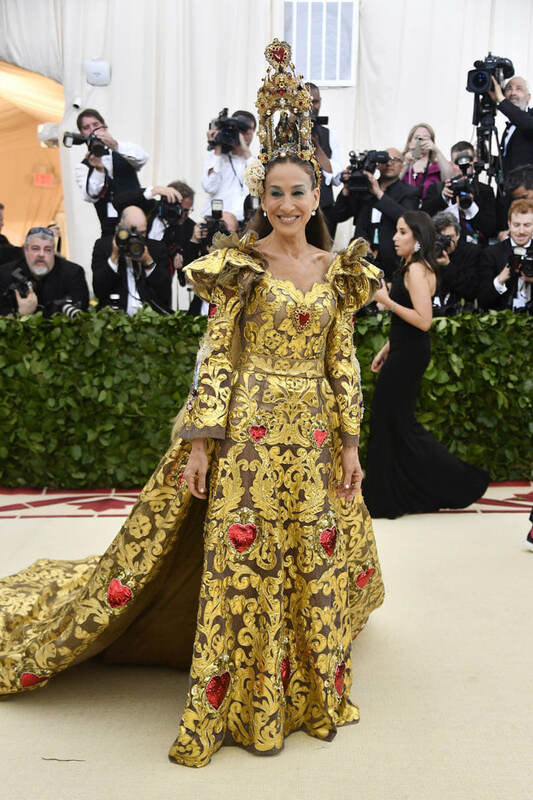 She could probably educate the entire Vatican on the construction and particular vintage of the fabric, while she took them all on a tour of Manhattan via the E train. I would also watch that movie.